Bring your own food. Breakfast delivery is an option in the mornings. Full Payment required on booking. This includes a 20% nonrefundable deposit. Booking may be canceled up to two weeks before date of stay with full refund, less the 20% deposit retention. After this time, no refund is given. There are three different cabins—Oak, Ash and Elm Cabins. 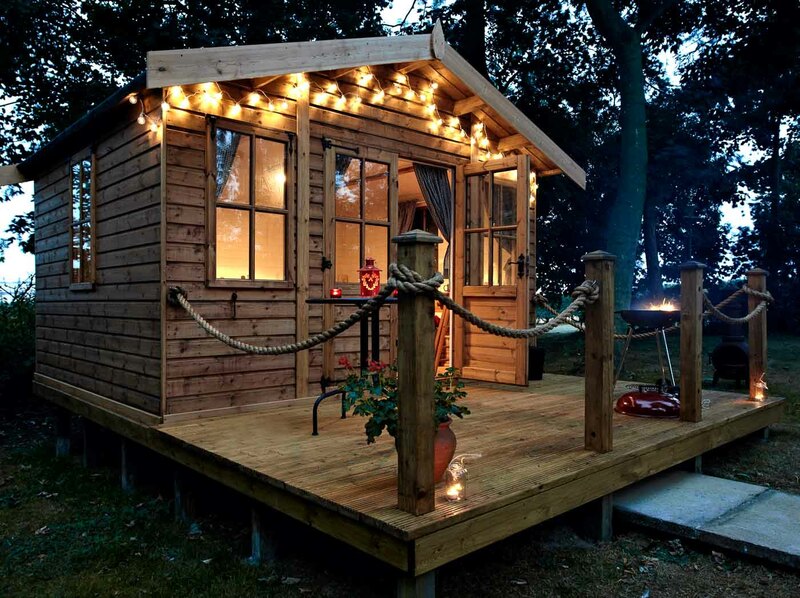 All cabins are similar in size and style and have either a twin or a double bed. Each cabin has a private patio with BBQ grill, a log burner for heat inside and patio furniture. Friendly dogs are allowed as long as they are not unattended and do not damage anything. Bring your own towels, linens and bedding. An indoor shower room with toilet, wash basin and heated towel rail is available on the property (about 50 yards from the cabins).